China’s proposed retaliation to President Trump’s promise to escalate tariffs will punish hardwood and lumber products most; and US Senators are feeling the heat from exporters in Missouri and Pennsylvania. In other Business news: the trade spat has delayed China’s plans to build a paper mill in Arkansas; US forest owners want the Farm Bill to proceed ASAP; and recent stock trends suggest the uptrend in forest products is reversing. In Forestry / Fire news: the Cal Fire is now the biggest wildfire ever recorded in Calfifornia; where 14,000 firefighters are battling 18 fires. Other fire headline updates include Europe, Ontario, and BC (Nanaimo and Telegraph Creek). Finally, TimberWest and Island Timberlands (amongst others) are credited for progress made on the endangered Vancouver Island marmot population. The birth of six Vancouver Island marmots to one mother is highlighting the 20-year quest to save one of the rarest mammals in the world. A marmot named Molly gave birth to the six pups and it bodes well for a population where the marmots typically welcome three to four pups in a litter every other year. …She is officially known as Marmota vancouverensis, recognized as endangered under the federal Species At Risk Act and a Priority 1 species under the B.C. Conservation Framework. A survey in 2003 found fewer than 30 wild marmots living in a handful of colonies. …Recovery efforts over the years have been led by a partnership that includes the Marmot Recovery Foundation, British Columbia government, Calgary and Toronto zoos, plus landowners TimberWest, Island Timberlands and Mount Washington Alpine Resort. Because of their efforts, the population stands at between 150 and 200 today. …TimberWest and Islands Timberlands, which own private forests lands west of Nanaimo, have taken key positions to support conservation, with significant annual financial contributions for research and management as well as postponed logging in identified marmot habitats. BID Group founder Brian Fehr has been named to the Order of British Columbia. …His biography, as provided by the Honours and Awards Secretariat, tells a story of stunning achievement while also overcoming considerable adversity. It also shows a deep commitment to rural B.C. and an ability to make the most of innovation. Although having only a Grade 12 education, he has built BID Group into a billion-dollar concern that provides innovative technical systems and construction services for wood products industries in B.C., across Canada and into the United States. …Following the Babine and Lakeland sawmill explosions, Fehr developed a dust-mitigation system that prevents recurrence of these disasters. BID retrofitted all of the 15 Canfor sawmills with the system. …Fehr served on the board of the B.C. Association for Crane Safety, and the B.C. Safety Authority. Lumber, paper, packaging and other forestry-related products have been trading within one of the strongest uptrends found anywhere in the public markets over the past several years. However, recent weakness due to global concerns of a slowdown has investors moving away from certain asset classes. 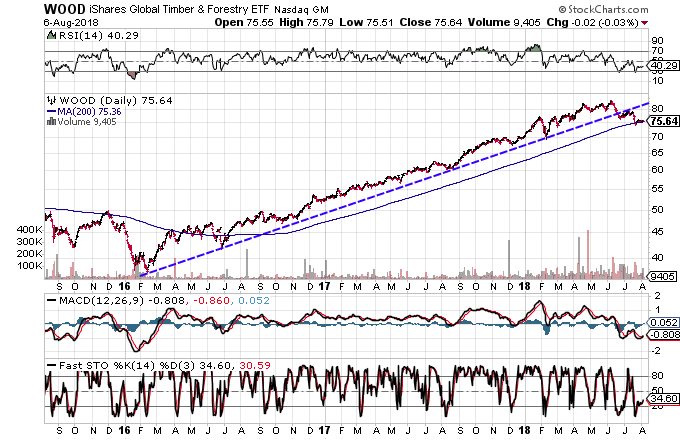 In this article, we’ll take a look at the charts of several forestry-related assets and try to determine how active traders will look to position themselves over the weeks or months ahead. …Forestry products and the related companies have been darlings of Wall Street since early 2016. However, the recent move below major trendlines suggests that the uptrend is reversing and that a major correction could be in the cards. The House and Senate have now both agreed to go to conference on the farm bill and have named conferees for this process. This is significant progress towards passage of this mammoth piece of legislation that spans agriculture, nutrition, forestry and conservation. …Rural Americans, especially the 21 million family forest owners, want to see this process completed and a new and improved farm bill — one that helps them address these challenges — passed this year. Across our country, one in four rural Americans owns and cares for forestland. Collectively, they own and care for the largest portion of U.S. forests, more than all the federal agencies combined. …With a new and improved farm bill in place this year, family forest owners can do their part to keep our forests healthy and thriving, that in turn will help all Americans. It’s definitely not the consensus view. But The Economist Intelligence Unit said Tuesday that presidents Trump and Xi Jinping have gotten us into a full-scale trade war. “That the U.S. is doing this at the same time as pausing trade tensions with Europe shows that the determination to confront China is strong enough to mean a trade war can be declared, but also that it will for now just be a bilateral war, not a global one,” says Simon Baptist, chief economist at the EIU, the business intel unit of The Economist magazine in London. President Trump is promising another 25% tariff on $200 billion of Chinese imports. For their part, China has proposed retaliatory measures hitting $60 billion worth of U.S. goods, including new duties on American lumber, liquefied natural gas and computer components. The screws are tightening on China, and so Beijing is set to return the pressure on American exporters. …The largest tariff hikes being prepared now by Beijing include wood products worth $1.83 billion (led by oak wood). …Silvercrest Asset Management investment strategist Patrick Chovanec said… survey data suggest lumberyards are already feeling the heat from the Trump-Xi firing squad. …Raw materials and commodities are China’s favorite import. To some analysts, China is punishing itself by importing inflation. U.S. companies, meanwhile, risk losing a solid market for lumber and liquefied natural gas once China retaliates. …Big lumber exporters like Potlatch and Rayonier say the China market is an expanding one for them. But in a June 2017 investor presentation, Potlatch was already predicting softer exports of both logs and lumber to China this year and next. New tariffs will exacerbate the forecasted trend. …John Richards died July 25 at 81. He was part of a storied North Idaho timber family and also worked for Potlatch Corp., where he retired as chairman in 1999. Richards and his brother were known for their ability to relate to shift workers as well as managers. Under their leadership, Idaho Forest Industries had a reputation as a steady employer during turbulent years in the timber industry. The Richards were also philanthropists who quietly gave back to the community. …Richards’ tenure in the industry spanned several boom-and-bust cycles. He was active in lobbying for tariffs on softwood lumber imports from Canada, which U.S. producers said were unfairly subsidized by the Canadian government. In 2000, the Richards sold Idaho Forest Industries to Stimson Lumber. They picked the Portland company … because it was also family owned, with similar values, they said at the time. ARKADELPHIA, Ark. – A Chinese company’s announcement two years ago that it would spend more than $1 billion and hire hundreds of workers for a paper mill … was seen as a much-needed shot in the arm for the region’s economy. The Sun Paper project [has the] potential to generate jobs and boost development. But optimism has been giving way to concern in recent months amid President Donald Trump’s escalating trade dispute with China. The threat of a full-blown trade war has delayed the project further and prompted the state’s governor to send his top economic development official to China to make sure it stays on track. It also has caused other Chinese companies considering investing in Arkansas to put their plans on hold. …Supporters of the Sun Paper project say the mill is the type of deal Trump should like, with a foreign company investing in the U.S. and hiring hundreds of American workers. U.S. Sen. Pat Toomey, R-Pa, is no fan of President Trump’s costly tariffs and believes they are doing some damage to not only Pennsylvania businesses but America’s economy as a whole. …Sitting with a group of 21 business and industrial leaders at the Pennsylvania Manufacturers’ Association headquarters, Toomey got what he came for. …Nicolas Bisaccia of Bingaman & Son Lumber Inc. in Snyder County said the market uneasiness from the trade wars and retaliatory tariffs have hurt his sales of hardwood to China, the primary consumer of American hardwood. …Jessica Meyers of Harrisburg-based JEM Group, a commercial builder, spoke of a public project that got delayed but how the cost of wood for it increased by 20 percent and steel by 35 percent as a result of the tariffs. Sen. Claire McCaskill on Friday visited Real Wood Floors in West Plains for a tour and frank discussion about the Trump administration’s imposition of international tariffs and those tariffs’ impact on Missouri manufacturers and agriculturists. …The tariffs, taxes on imported goods and services largely focused on Chinese trade, have already caused Elbrecht and Cobb to notice an impact on Real Wood Floors’ profit margins. …Cobb told the St. Louis-based Senator the company’s locally-sourced timber prices have dropped about 30 percent due to the tariffs. …McCaskill explained: If taxes on imports are driving the prices of products up — even homegrown products such as those offered at Real Wood Floors — the companies who supply them have to redirect their funds, which means they don’t have enough money to pay their employees. Stora Enso and Orthex together bring to the market a new range of kitchen utensils made from a new biocomposite which combines the best qualities of wood and plastic. The bio-based material used to replace fossil-based plastic is made from spruce and sugarcane, which reduces the carbon footprint of the products by up to 80%. The innovative products contain 98% bio-based material. …The biocomposite used in the new products comes from Stora Enso’s Hylte Mill in Sweden. The DuraSense™ by Stora Enso biocomposites are produced from spruce and pine from sustainably managed and certified Swedish forests. The majority of the non-renewable materials used today can be replaced by biocomposite granules, i.e. renewable wood. Logging has long been among California’s most divisive environmental issues — and the controversy shows little chance of cooling as the Trump administration pushes new efforts to thin forests. The federal government is moving to allow commercial logging of healthy green pine trees for the first time in decades in the Los Padres National Forest north of Los Angeles, a tactic the U.S. Forest Services says will reduce fire risk. It’s an idea President Trump appeared to endorse in tweets inaccurately linking wildfire to state water management. … Trump tweeted Sunday. “It is being diverted into the Pacific Ocean. Must also tree clear stop fire spreading!” …The Trump administration is seeking to reopen some … public lands in the state not just for timber production, but also for potential solar, wind, broadband infrastructure, mining, off-road vehicle and grazing uses. When it comes to timber, the justification is fire prevention. State and federal officials inked an agreement Aug. 2 that could lead to scaling back the U.S. Forest Service’s long-debated Roadless Rule in Alaska. The MOU signed by Department of Natural Resources Commissioner Andy Mack and Interim Forest Service Chief Victoria Christensen lays the foundation for the agencies to reopen the Roadless Rule on the prospect of working towards an Alaska-specific rule that could allow for more access to large swaths of federal lands that have ostensibly been off-limits to logging or other developments and activities since the early 2000s. Approved in early 2001 … the Roadless Rule prohibited new road construction on roughly 58 million acres of undisturbed national forest lands across the country. The “no new roads” edict has since been continuously challenged in court, particularly by western states that contend it has arbitrarily curbed logging and other activities on Forest Service territory and conflicts with the agency’s multiple-use land planning mission. Telegraph Creek residents were told today that 27 structures have been lost in a “volatile and aggressive wildfire” in northern B.C. Evacuation Orders and Alerts are in effect for the Alkali Lake wildfire, first sparked on Aug. 1 about five kilometres northwest of Telegraph Creek. The Tahltan Band held a meeting today at the Dease Lake Community Hall where residents were informed the fire has caused 35-40 per cent structural loss. “Our town has sustained significant damages,” said Chief Rick Mclean in Tuesday morning’s meeting, before he took a moment to compose himself. “But, there is no life lost. A wildfire at Nanaimo Lakes is spreading, evading the efforts of fire crews and sending some residents fleeing. …The Regional District of Nanaimo has issued evacuation orders and evacuation alerts to people living near the out-of-control wildfire, just southwest of the city of Nanaimo. “The fire is still considered out of control. It’s pretty dynamic right now,” said Natasha Broznitsky, a public information officer for the Coastal Fire Centre. …It is burning on a mix of Crown and private forestry land, covering about 160 hectares … and spreading in a west to northwest direction, “which is good news for a small rural community east of the fire,” Broznitsky said. “We don’t want the fire to move a lot farther to the east.” …Bill Sims, director of engineering and public works for Nanaimo, said the border of the fire poses a grave concern for the city’s water treatment plant about five kilometres away. TORONTO – Rain and unwavering efforts by firefighters have led to progress in the battle against forest fires in northern Ontario. The Ontario Ministry of Natural Resources said Tuesday there has been a slight decrease in the number of fires raging across the province and the biggest fire in the northeast is no longer out of control. Fire information officer Shayne McCool said as of Tuesday afternoon there are 120 active fires, including 76 in the northwest region and 44 in the northeast. McCool said the largest fire in the northeast, known as “North Bay 72” and burning about 30 kilometres west of Temiskaming Shores, is no longer out of control. …Another large fire, dubbed “Parry Sound 33,” is about 113 square kilometres and remains out of control. 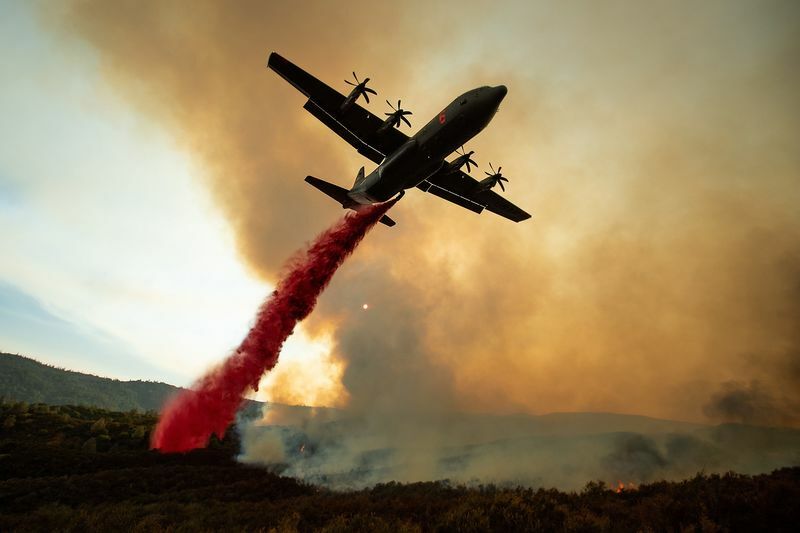 SAN FRANCISCO — Some 14,000 firefighters, including inmate volunteers, are battling 18 major blazes burning thousands of square miles throughout California with aircraft, assorted vehicles and picks and shovels. They take aim at the biggest wildfires in two ways and in much of the same way the Department of Forestry and Fire Protection has for decades. They’ll go at it directly with water and retardant where they can. …Experts say whichever approach Cal Fire takes, California firefighters are often more aggressive in trying to extinguish wildfires than those in other less-populated states. That’s because California wildfires are increasingly threatening sprawling urban areas. Firefighters struggled against rugged terrain, high winds and an August heat wave Tuesday to slow the spread of the biggest wildfire ever recorded in California, an inferno that exploded to be nearly the size of Los Angeles in just 11 days. The 450-square-mile (1,165-square-kilometer) blaze, centered near the community of Upper Lake, about 100 miles (160 kilometers) north of San Francisco, spread fast because of what officials said was a perfect combination of weather, topography and abundant vegetation turned into highly flammable fuel by years of drought. Firefighting efforts were also initially hampered by stretched resources, said the Department of Forestry and Fire Protection, also known as Cal Fire. When the fire started July 27, thousands of firefighters were hundreds of miles north battling a massive blaze that spread into the city of Redding, destroying more than 1,000 homes, in addition to a dozen other major blazes. Wildfires tearing through trees and brush, rampaging up hillsides and incinerating neighborhoods: The place-names change but the devastation is showing signs of becoming the new normal in California. On Monday, twin fires being treated as one incident north of San Francisco became the largest wildfire in state history, destroying 443 square miles (1,148 square kilometers) — nearly the size of the city of Los Angeles. …Hotter weather attributed to climate change is drying out vegetation, creating more intense fires that spread quickly from rural areas to city subdivisions, climate and fire experts say. But they also blame cities and towns that are expanding housing into previously undeveloped areas. …The fires in Northern California have created such a haze of smoke in the Central Valley that Sacramento County health officials advised residents to avoid outdoor activities for the entire week. LISBON, PORTUGAL — Firefighters and anxious residents braced Tuesday for a fifth straight night of battling a major wildfire that is racing across tinder-dry forested hills in southern Portugal. The blaze is sending high plumes of smoke across the Algarve region’s famous beaches and bringing criticism of authorities for failing to halt the flames. A strong seasonal wind from the north known as a “nortada” was driving the fire south toward Silves, a town of about 6,000 people, after it narrowly missed the smaller town of Monchique. Several hundred people were evacuated, and 29 were hurt, one seriously, officials said. The U.S. Energy Information Administration has released the August edition of its Short-Term Energy Outlook, predicting that nonhydropower renewables will provide more than 10 percent of electricity generation this year, increasing to nearly 11 percent in 2019. In 2017, nonhyropower renewables provided slightly less than 10 percent of U.S. electricity production. Wood biomass is expected to be used to generate 120,000 MWh per day of electricity this year and next year. Waste biomass is expected to be used to generate 58,000 MWh per day of electricity in 2018, increasing to 59,000 MWh per day next year. 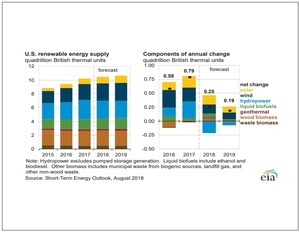 The electric power sector is expected to generate 90,000 MWh per day of electricity this year, including 49,000 MWh per day from waste biomass and 42,000 MWh per day from wood biomass. Kalie Olmstead says she’s found a little bit of closure after J.D. Irving Ltd. was hit with $89,500 in penalties Tuesday for a 2016 workplace accident that killed her fiancé, Chad Smith. …Truro provincial court Judge Alain Bégin fined Irving $34,500 and also ordered it to pay $55,000 to set up a bursary in the victim Chad Smith’s name for students in the Nova Scotia Community College’s occupational health and safety program. 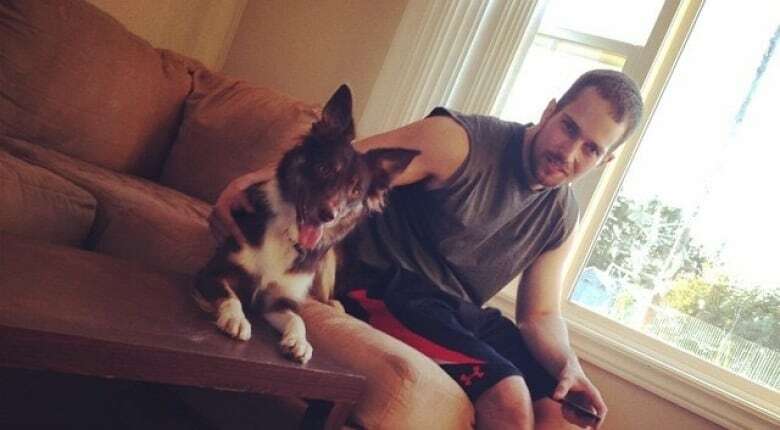 …According to an agreed statement of facts that Keaveny read in court, Smith, 28, was killed on June 27, 2016 when he was struck by a front-end loader while crossing a bridge for vehicles and pedestrians at the sawmill. 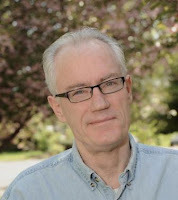 …But about a week before the trial, Irving agreed to plead guilty to one count of violating the Occupational Health and Safety Act that required them to follow the Canadian Standards Association’s rules on lift-truck usage.